Ballooning e-commerce in nearly every industry has rendered Cleveland warehouse space in short supply. Faced with increasing consumer demands and fewer options, more Northeast Ohio businesses are opting to outsource Cleveland warehousing and distribution operations rather than keep them in-house. Companies with seasonal, fluctuating or uncertain profit margins or those planning on a substantial expansion or contraction generally conclude it makes little sense to keep these resource-heavy duties in-house when those who outsource Cleveland warehousing to a third-party logistics firm are gleaning more benefits with less cost/hassle. Those who manage their own warehousing will be dealing with increasingly stiff competition from those who outsource. In addition to fewer choices and soaring e-commerce, there are sky-high transportation expenses, evolving technology and expanding federal regulations. Ohio is within one day’s drive of half the U.S. population, making it an attractive site not just for many national/international buyers, but by manufacturers but distributors and workers. 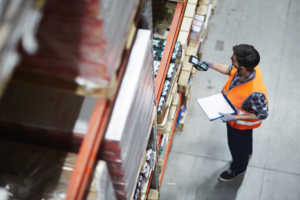 Some businesses prefer greater control of day-to-day warehousing and are reticent to invite a “middleman” into the mix. But when you outsource Cleveland warehousing and order fulfillment to a first-rate third-party logistics firm, you can devote more valuable resources on things like product development and innovation, sales, marketing and customer service. If you need more proof of the benefits of third-party warehousing, take a look at Penn State researchers’ data in 21st Annual Logistics Study in 2017 revealing the number of Fortune 500 companies using third-party logistics doubled from 46 percent to 90 percent in 15 years. Small businesses too can carve out a significant advantage when they outsource Cleveland warehousing, particularly when sales are inconsistent throughout the year. Even the best products won’t move if they’re routinely delivered late, damaged or not at all. A client may forgive you once, maybe even twice, but you aren’t likely to get another crack at it beyond that – and your competitors will be ready to seize that opportunity. In deciding whether to outsource Cleveland warehousing, Northeast Ohio businesses should analyze the totality of their resources and capacity. Sometimes even if it can be handled in-house doesn’t mean it should be. Warehousing and distribution is a constant and at times delicate balancing act that involves more than merely securing space. You need qualified managers to oversee it and reliable workers to keep goods moving smoothly. As distribution centers multiply in Northeast Ohio, skilled warehousing workers are becoming just as tough to find as space. It won’t save you money in the long-run if you have to cut corners on quality, service or safety when times are lean. High-quality logistics facilities cropping up all over the place in big markets like Atlanta, Dallas and Chicago. But even secondary markets like Cleveland, Nashville and Louisville are growing at a rapid clip too. 3PL services reportedly account for 61 of the 100 largest warehousing and industrial space deals in 2018, according to commercial real estate brokerage CBRE. Industry insiders don’t expect a slowdown. Companies that want to keep operational costs in check may consider scrapping warehousing altogether, particularly considering the speed of modern shipping methods (goods aren’t going to remain on warehouse shelves for long, if at all). However, warehousing is still a hugely important link in the business supply chain. Flexibility for scaled or seasonal growth. If you are considering changing up your Cleveland warehousing strategy, On Time Delivery & Warehousing, Inc. can help you map a plan that makes the most sense for your unique business model – and help you make adjustments as necessary. If you have questions about outsourcing Cleveland warehousing and distribution 3PL partnerships, contact On Time Delivery & Warehouse by calling (440) 826-4630 or sending us an email. As a longtime Northeast Ohio 3PL provider in Cleveland, On Time Delivery & Warehouse has a battle-tested supply chain network of carriers and routes spanning the U.S. market and beyond – on ground rails, overseas and in the skies. For most domestic deliveries though, we rely on commercial trucks. We’re certainly not the only Northeast Ohio 3PL to do so, though our longstanding, loyal customer backing affirms our stake as one of the most trusted supply chain management companies in the Midwest. The U.S. Bureau of Transportation Statistics reports 70 percent of the 50 million tons of U.S. economy freight moved daily is hauled by commercial trucks. Our trucking services clients have the advantage not just of our expansive carrier network, but our own fleet of trailers, box trucks and flatbeds. Trucking is often the most cost-effective ways to move freight domestically, though as you probably know, it’s not exactly cheap either. Working with a 3PL trucking service can help, getting you better deals on less-than-truckload services and more. In fact, one of the greatest benefits of working with a Northeast Ohio 3PL instead of managing trucking services in-house is: Third-party logistics providers can help reduce your trucking liability risks. This is an especially key consideration for many firms, given the risk of commercial truck crashes is on the rise. Public Warehouse v. 3PL Service Providers: What’s the Difference? Get started by contacting us for a custom quote.